Wuhan is located smack dab in the middle of China. The capital of Hubei province is an amalgamation of three cities - Wuchang, Hankou, and Hanyang - divided by two rivers - the Yangtze and the Han. It's nine million strong population makes Wuhan the largest city in central China. The Wuchang Uprising in Wuhan triggered the end of imperial rule and ushered in the age of the Republic of China. The city was briefly the capital of the country during Kuomintang rule in the 1920's. 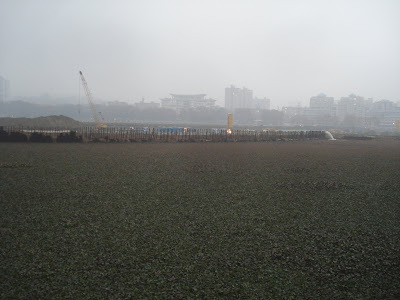 East Lake is the largest lake within a Chinese city. I have yet to discover what is the largest Chinese city within a lake. Although nowhere as picturesque as Hangzhou's West Lake, it does make for an enjoyable stroll along its tree lined perimeter. The Hubei Provincial Musuem was closed, so I visited the Hubei Musuem of Art right beside it. The Yellow Crane Tower, one of China's "Three Great Towers", stands tall on a hill overlooking the city. Its principal claim to fame is that it is immortalized in several touching poems. After visiting Comrade Mao's former residences, I caught a taxi to get a glimpse of the hulking Number One Yangtze River Bridge, which has a dual layer design to accomodate both cars and trains at once. In the middle of a busy intersection, the driver stopped to pick up his wife, girlfriend, or a female filling a similar role in his life. While I sat uncomfortably in the front, she applied makeup in the back seat. He then dropped her off in the opposite direction before continuing to my specified destination. 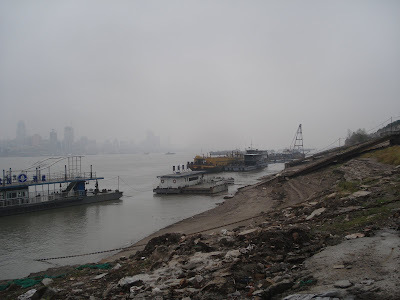 I crossed the mighty Yangtze in a crowded ferry, the murky waters blending together with the grey skies and concrete cityscape. 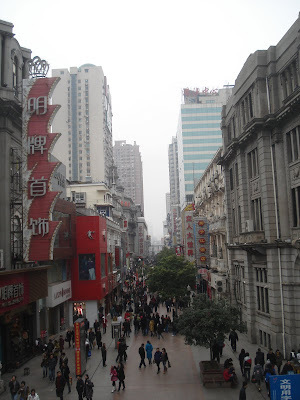 I disembarked on the Hankou side, and sauntered past 19th century colonial buildings. 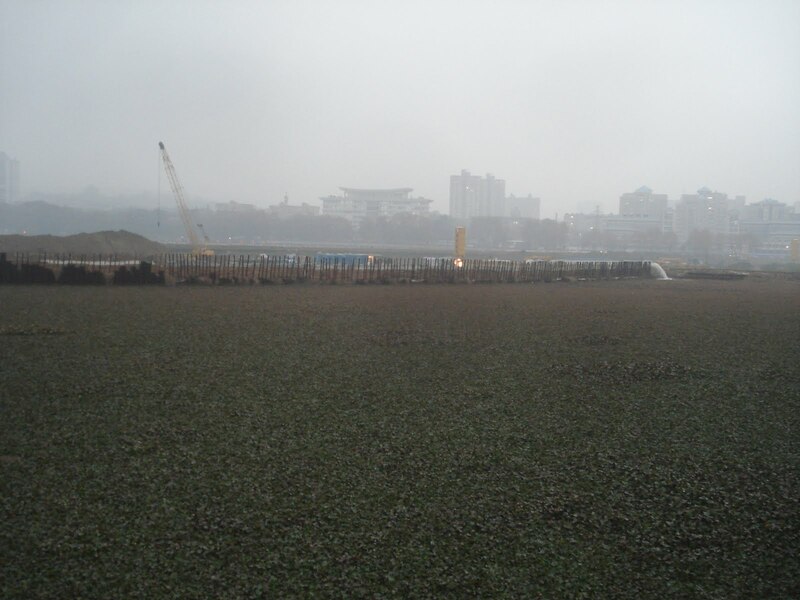 Like the rest of the nation, there is a construction boom in Wuhan. I took the new subway line to Wuhan Tiandi, a swanky shopping and dining district modelled after Shanghai's Xintiandi where I had dinner to cap off my two days in town. Seasoned with soy sauce, sesame paste, and diced vegetables, the local favourite re gan mian makes this city a noodle lover's delight. In the misty blossoms of April as he goes down to Yangzhou. All I see is a long river flowing to the edge of heaven.